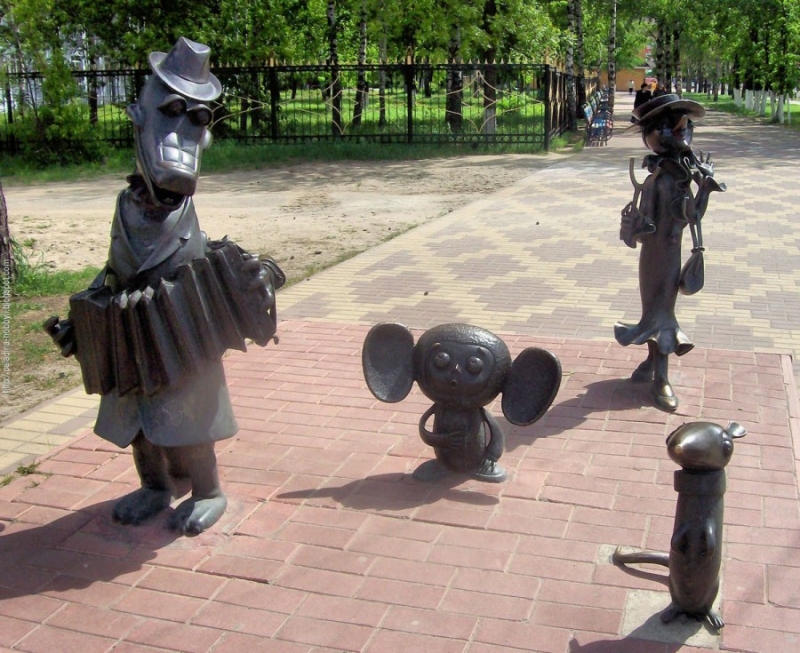 Most of Russia’s production of animation was created during Soviet times. 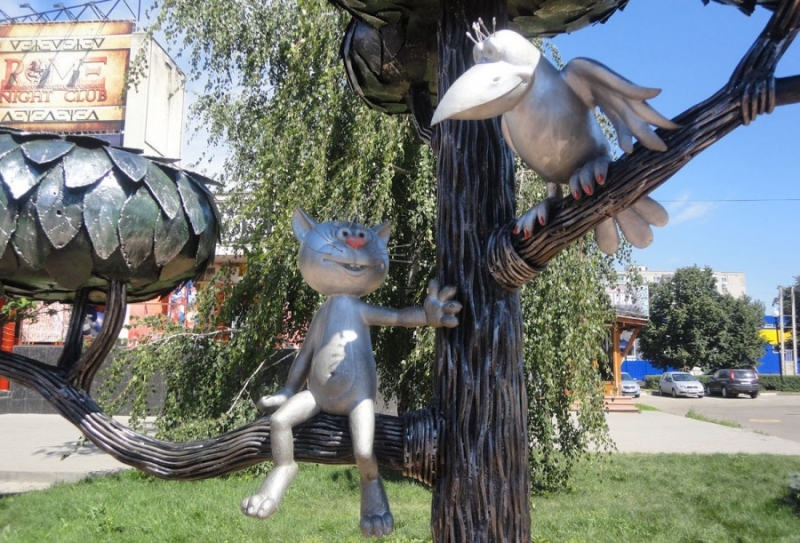 For many Russians, cartoons are still associated with Soviet animation. 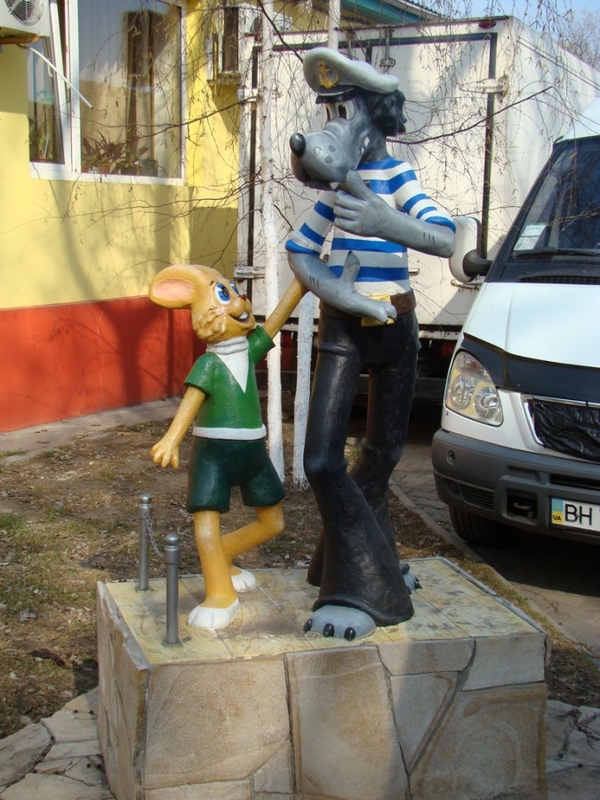 Soviet cartoons are still watched and enjoyed by Russian children. 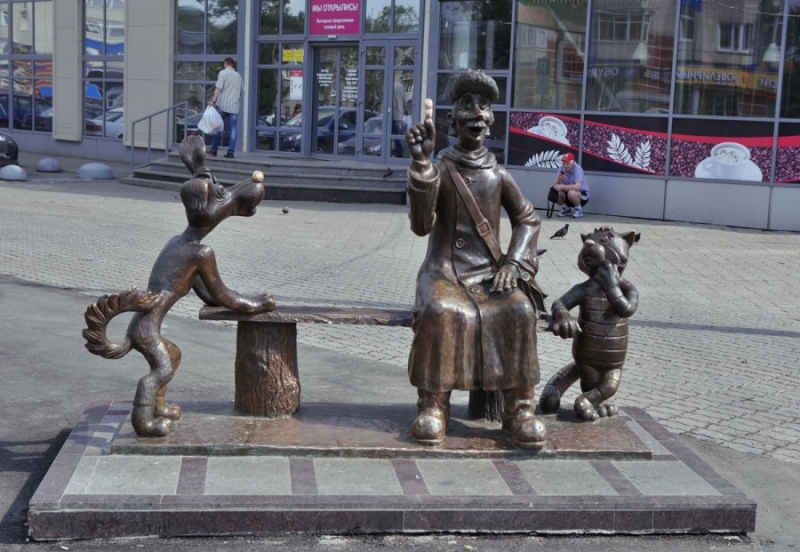 Animated movies became deeply embed into Russian culture to that extent that Russians carved sculptures depicting most loved cartoon characters. 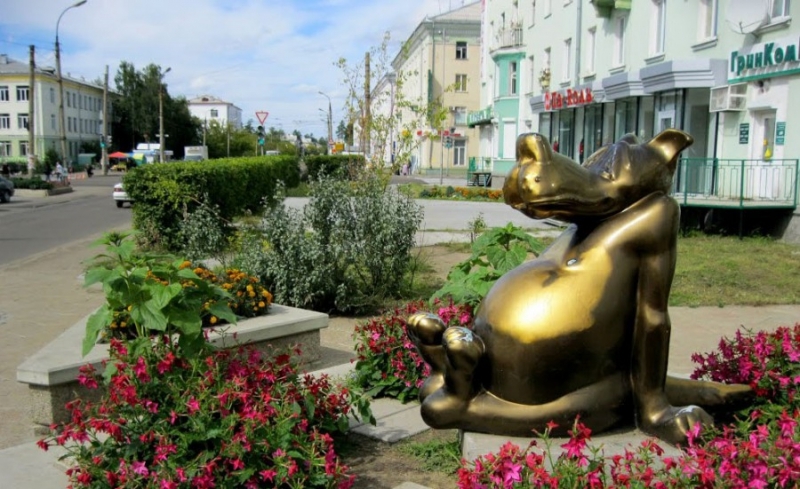 The storyline of this 1988 animated film tells about the kitten turned into the hippopotamus and found himself in Africa, but he kept not only his cat’s habits, but also love to his native street Lizyukova in Voronezh. 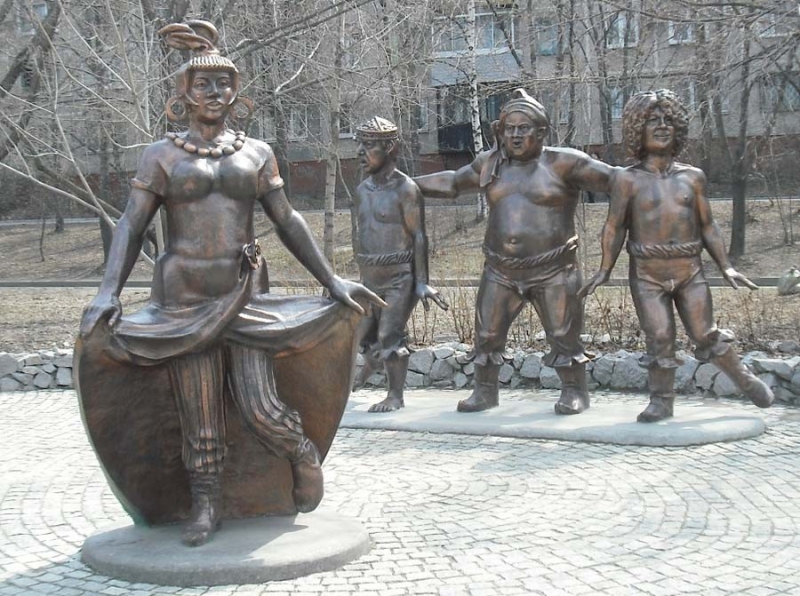 In 2003 a sculpture was opened in Voronezh, featuring the characters of this film. 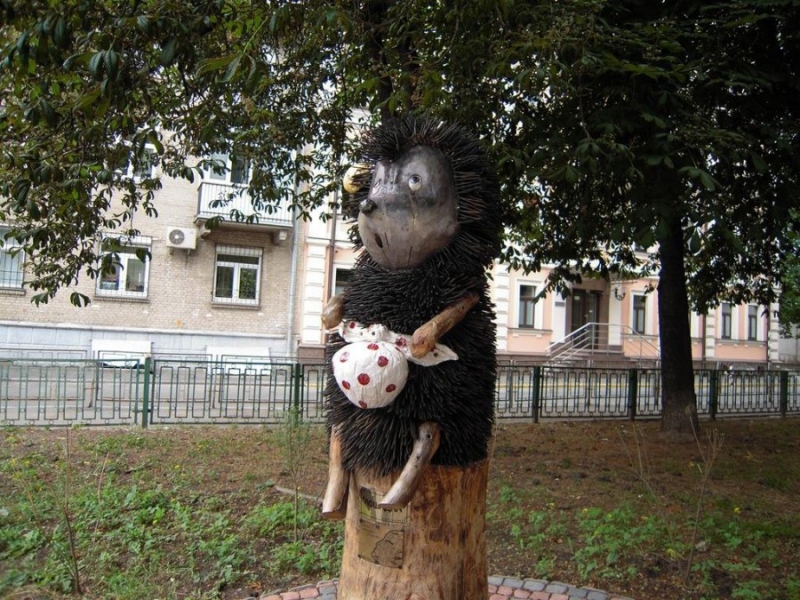 Hedgehog in the Fog is a 1975 Soviet animated film produced by the Soyuzmultfilm studio in Moscow. This is a story about a little hedgehog, who on the way to visit his friend the bear, gets lost in thick fog, where horses, dogs and even falling leaves take on a terrifying new aspect… . 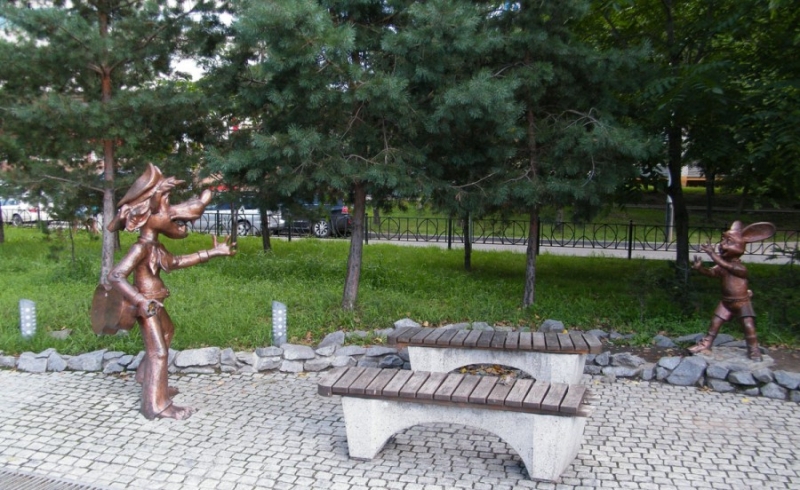 The sculpture is located in Kiev. 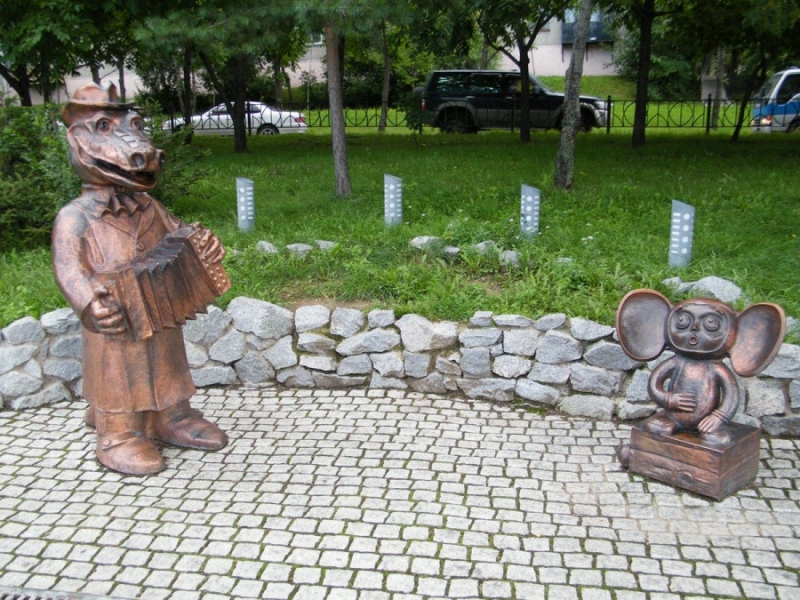 Opened in 2005, this sculpture depicts Winnie-the-Pooh characters. 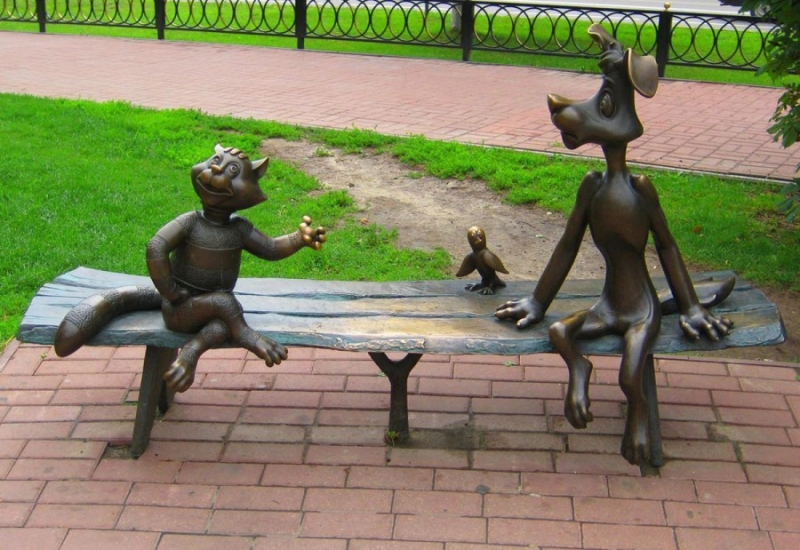 Russian adaptation Of “Winnie The Pooh” was filmed in 1969 by Soyuzmultfilm, and considered by some as the “better version than the American”. 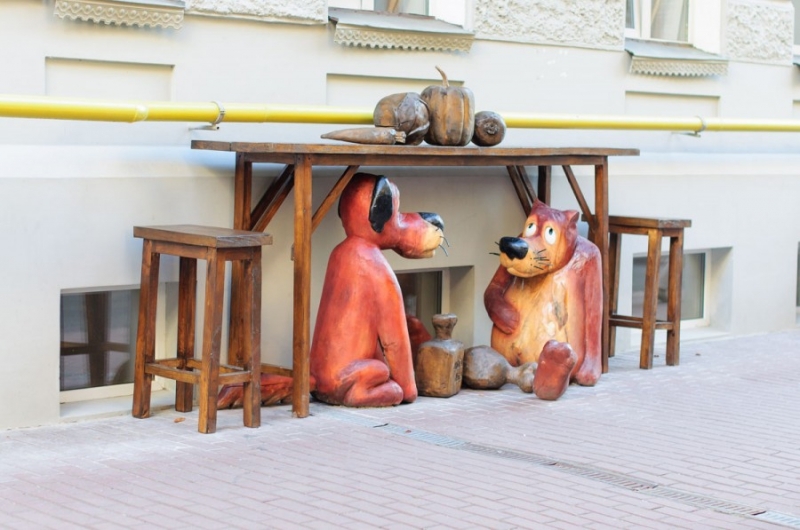 Once Upon a Dog (Once Upon a Time There Lived a Dog) is, probably, the best Soviet cartoon. It is based upon Ukrainian folk stories and tells us a story about friendship between dog and a wolf in critical moments of their lives. First a wolf saves a dog when the latter driven out from home, then a dog saves a wolf from hunger at winter. 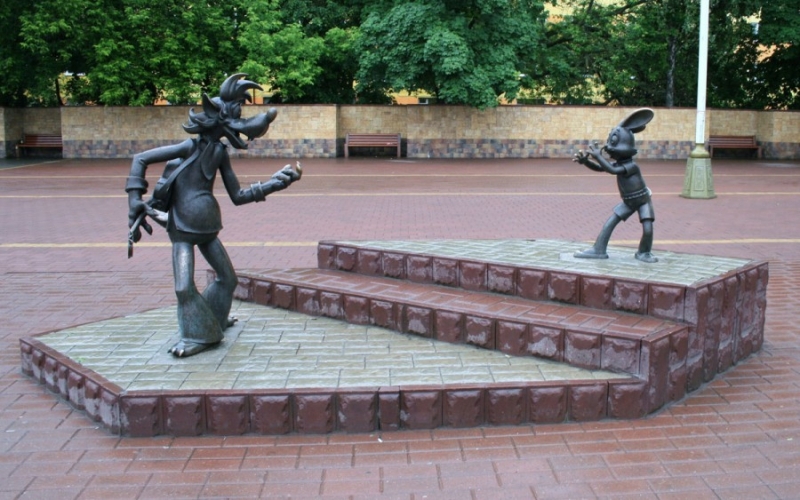 The film was released in 1982 by Soyuzmultfilm. 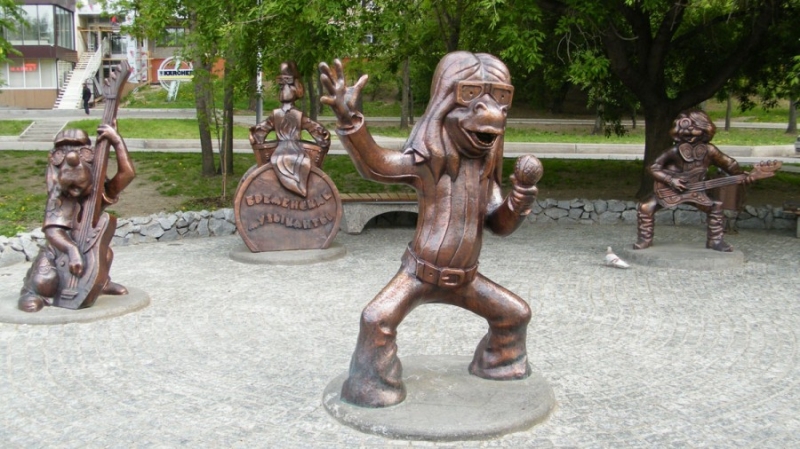 There are quite a few sculptures around former Soviet Union dedicated to this cartoon. Initially released in 1969, the film became a cult hit in the Soviet Union because of its memorable musical soundtrack, which contains influences from Western rock ‘n’ roll music. 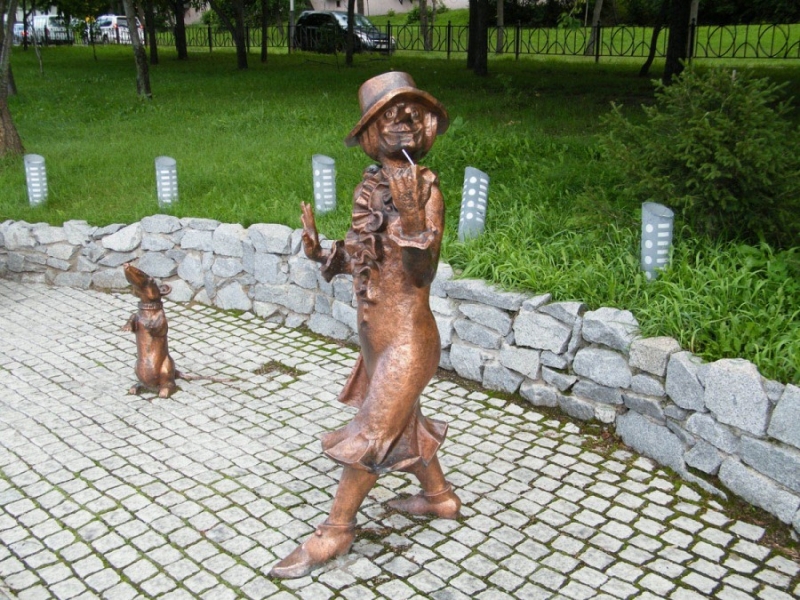 The storyline is loosely based story on the Brothers Grimm fairy tale, Town Musicians of Bremen about a donkey, a dog, a cat, and a rooster and their master Troubadour. Much like Tom and Jerry, this show revolves around the relationship between the wolf and the mischievous hare. First episode was aired in 1969. Originally it was Vladimir Vysotsky who had to perform for Wolf. 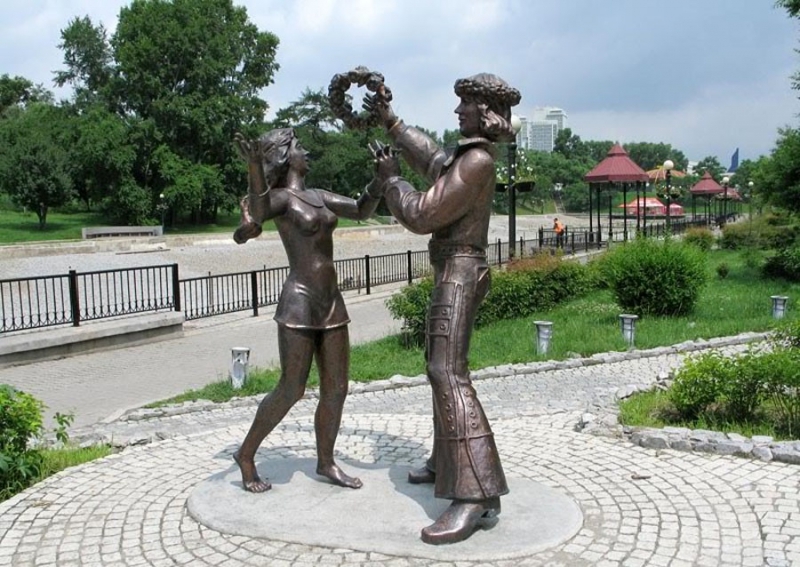 But he wasn’t approved by Soviet cinema authorities because of his personality (Vysotsky was popular among the “grassroot” but not among the Communist party elite). As a result, Vysotsky was replaced by Anatoliy Papanov. 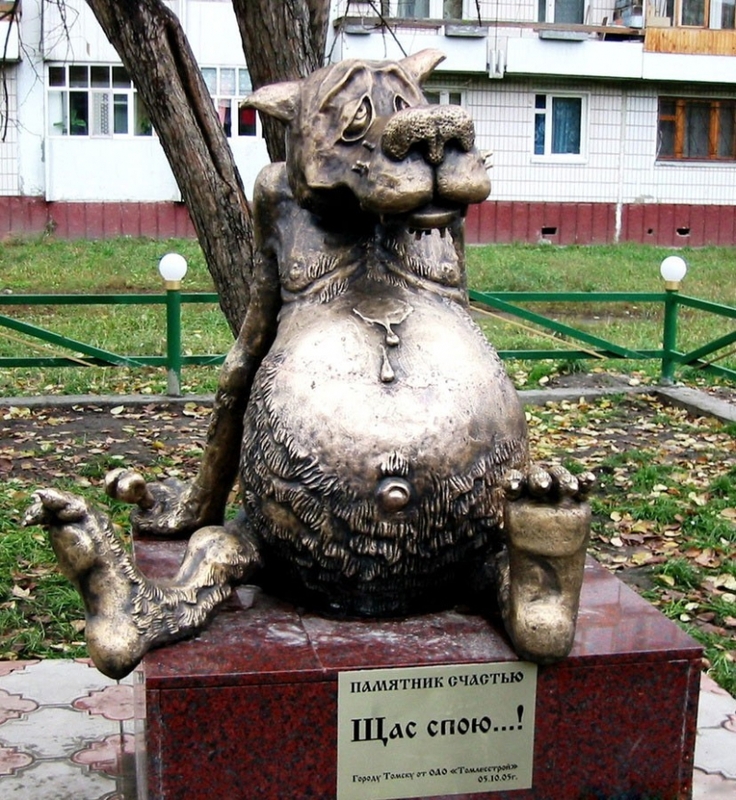 However, a small part of Vysotsky’s well-known “Song about a Friend” (“Pesnya o druge” in Russian) can be heard at the beginning of the 1st episode (when Wolf climbs up with the help of a rope) and in the 10th episode (the replay of the same moment, but Wolf and Hare trade places). The latest episode was produced in 2006. 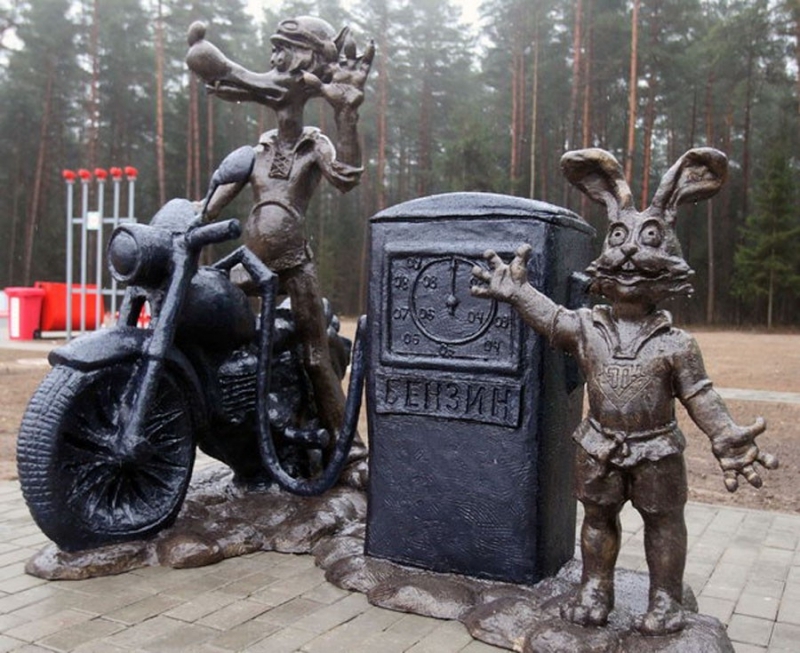 The three series of the Prostokvashino cartoon, “Troiye iz Prostokvashino” (Three from Prostokvashino), “Kanikuli v Prostokvashino” (Vacation to Prostokvashino), and “Zima v Prostokvashino” (Winter in Prostokvashino) center around the advertures a boy, Fyod’r, has after running away from his home in Moscow to this small Russian town with his new-found cat. 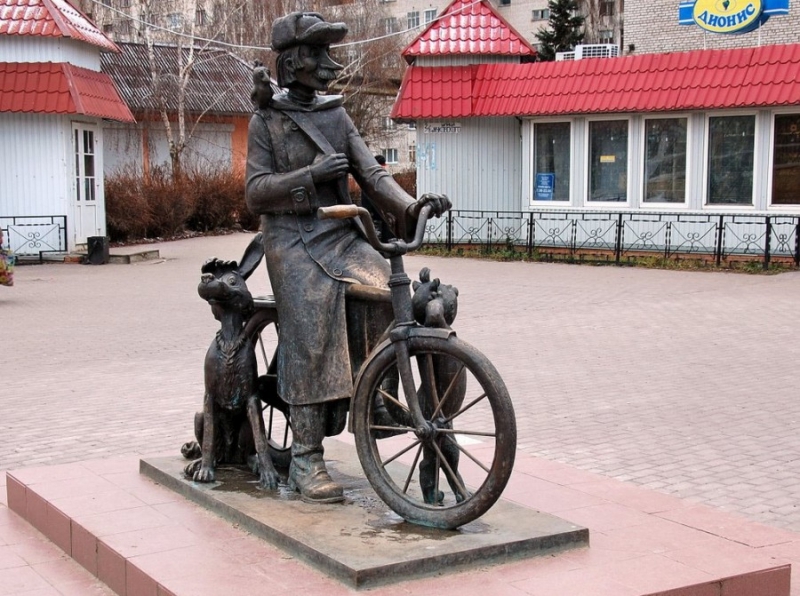 On the way, he finds a dog who offers them a dacha he found, and mail carrier Peshkin soon comes along to look after the trio. 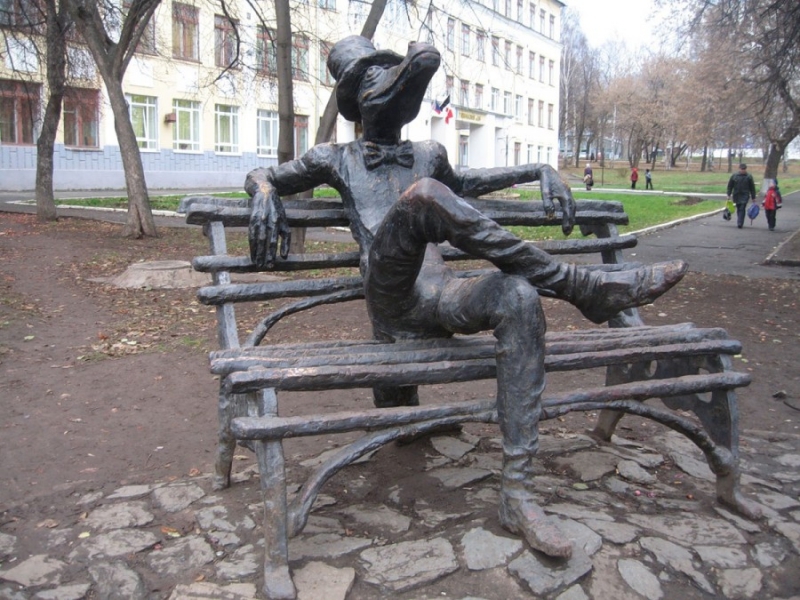 When Peshin tells Fyod’r’s parents back in Moscow of his whereabouts, the family soon finds Prostokvashino to be a very inviting and friendly place, where there is no shortage of adverture and things to do, as well as trying to keep tensions down between everyone when they start to get bored. 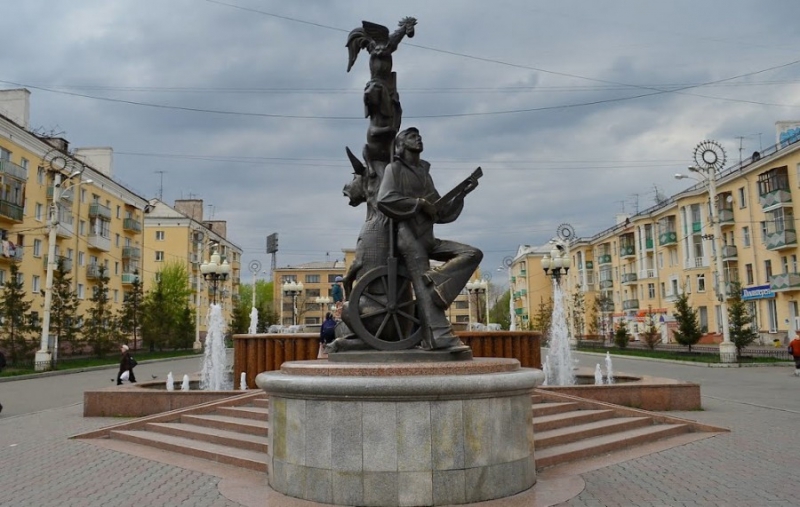 Filled with humor and jokes, “Prostokvashino” is one of the best television programs ever to come out of Brezhnyev’s USSR, frequently appearing on the children’s program “A-B-V-G-D” (the first 5 letters of the Russian alphabet). 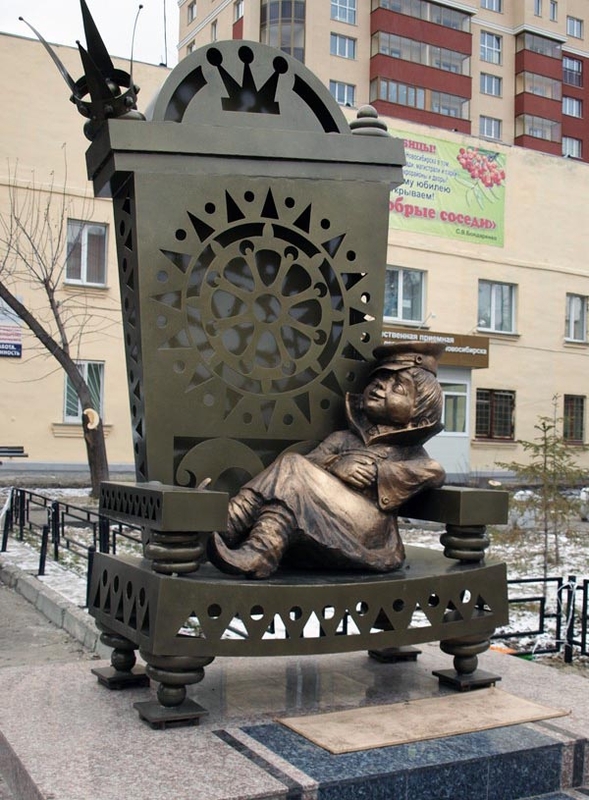 “Prostokvashino” is still popular with children today throughout the former Soviet Union. Filmed in 1969, Gena the Crocodile animated film is about unknown to science creature named Cheburashka. After the zoo rejects him, he becomes lonely and wants friends. Meanwhile, a crocodile named Gena is in the same boat and seeks friendship. 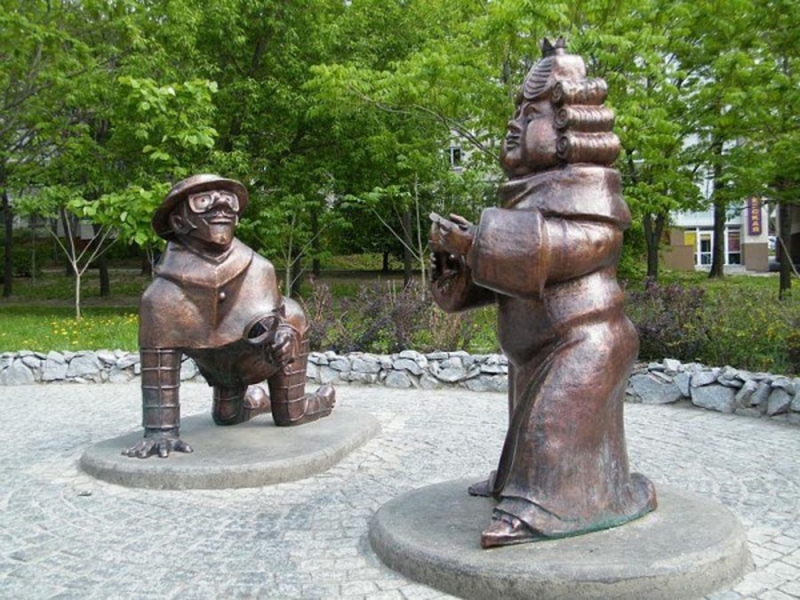 The two meet and build a house for the lonely. But a treacherous old maid, Shapoklyak, tries to stop them in different ways.